Using a mixer, combine cake mix, pumpkin, eggs, water, and optional instant coffee. Bake according to cake mix directions. Allow to cool. Roll mixture into 1″ sized balls. Chill for approximately 30 minutes in the refrigerator. Melt Vanilla CANDIQUIK in tray according to directions on package. Add optional pumpkin pie spice to taste. 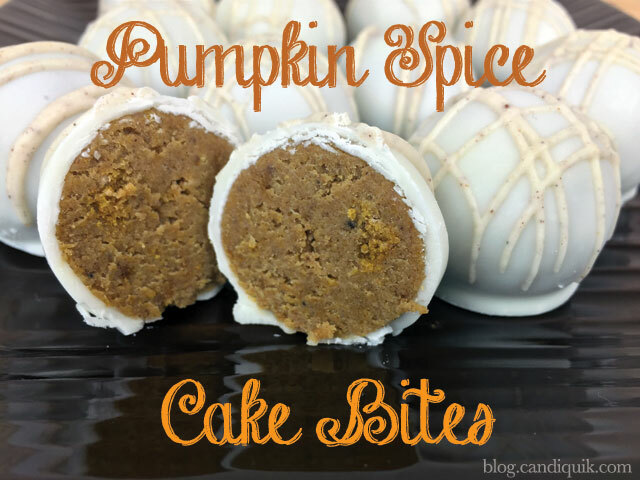 Dip cake balls in Vanilla CANDIQUIK and place on wax paper to set. If desired, stir pumpkin pie spice in remaining melted CANDIQUIK and drizzle.